Black and white negative of Douglas Astley sitting in a chair with his hands on his lap. In this view he is looking to the left of the photographer. 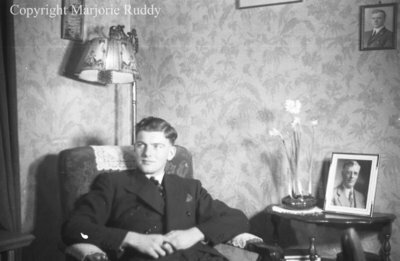 Douglas Astley, February 1940, Marjorie Ruddy. Whitby Archives A2013_040_828C.